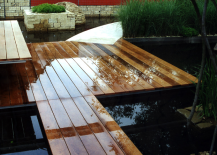 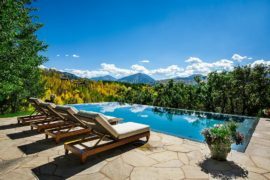 A floating deck isn’t one that sits on the water like a dock (although they can float over water), it’s one that ‘floats’ over your existing landscape, usually just a few inches or feet. 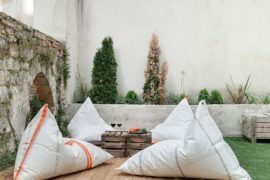 It looks classy and also allows water and airflow beneath your deck, which can help minimize problems of wood-rot over time, and keep a backyard area from becoming a dam in a heavy rainstorm. 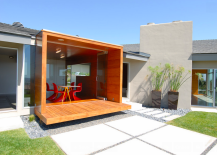 You can build your own floating deck (check out ), and here are some lovely and creative ideas on how to make it work in your backyard—or the backyard of your dreams, anyway. 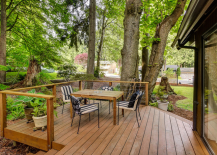 Of course, a deck doesn’t need to be attached to a house; and one that’s separate from a structure can feel like a special destination, like which works as a mini-destination away from home. 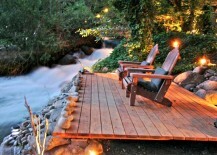 This floating deck, at Frank Lloyd Wright’s acolyte’s house,, beautifully integrates into the landscape, providing a reflective spot to enjoy sitting next to a rushing stream (that also runs through the house!). 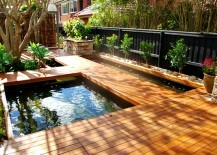 Want an independent floating deck like this one? 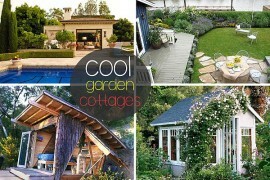 You’re in luck; the instructions for this sweet backyard getaway are . 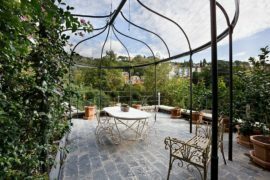 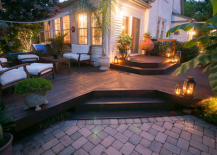 Even a small deck can make a big difference in a home, lending a sense of space and openness to an apartment or condo, as in . 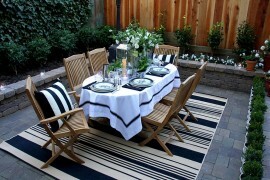 This adds usable outdoor space to this backyard, instead of just an expanse of grass. 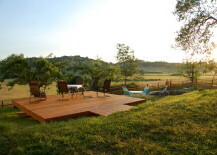 This deck doesn’t take up much space at all, but provides several little away-from-it-all spots for residents. 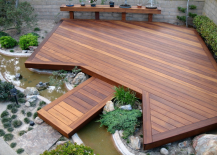 Of course, the ultimate floating deck looks incredible over water, and lends an Asian-inspired feel to a garden or landscape area, like this one by . 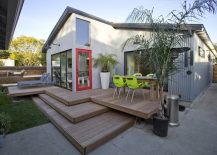 This Aussie version of the floating deck-water feature combo is also a setup for a hydroponics system, which is ideal for drier climates. 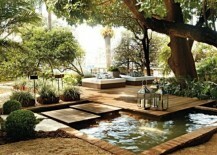 You don’t have to have a whole pool or pond to put a deck over; even a small stream, like in , will lend your space a more mellow feel. 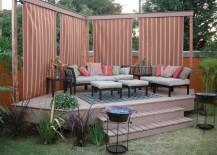 If you add other architectural elements to a floating deck, you can create what amounts to a floating room of sorts. 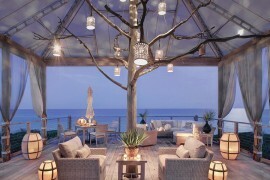 Here, curtains add a sense of formality. 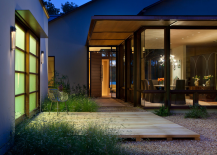 Just a simple awning makes an area of from outdoors and exposed to cozy and room-like. 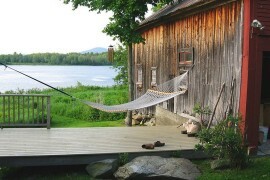 A deck that seems to gives your “outdoor room” a sense of place. 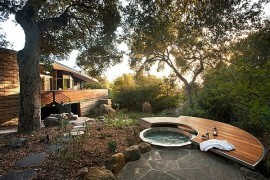 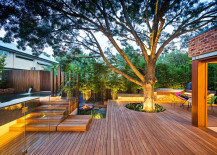 This gorgeous design integrates into the local environment, including a graceful Eucalyptus tree. 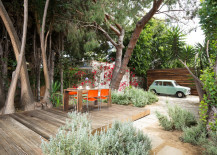 This 1930s home in Mar Vista, California, had plenty of beautiful, mature trees to work with, so integrated them into a new patio design.